Demand for the Monster Energy drinks brand boosted sales and profits for Hansen Natural in the third quarter of 2010, the firm has said. For the three months to the end of September, net profits rose by 17.7% to reach US$66.5m, the firm reported late last week. Operating profits rose by 15.8% on the same period of 2009, to $107.6m, while net sales increased by 26.8% to $356.7m. 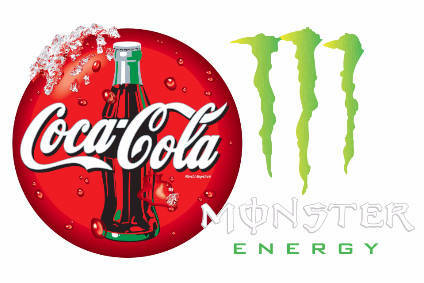 Rodney Sacks, Hansen's chairman and CEO, attributed the results to "solid sales" of Monster Energy drinks. "The Monster Energy brand continues to gain market share, with sales increasing in excess of category growth," Sacks said. "During the third quarter, we launched Monster Absolutely Zero and Monster Import Light to address increased consumer demand for lower and zero calorie beverages." For the nine-month period, net profits increased by 5% to $162.9m. Operating profits rose by 6.6% to $268m, while net sales climbed by 15.6% to reach $985.3m. Click here to view the full earnings release and check back later for further insight into the firm's third-quarter results.